the most popular tourist attractions in Pakistan? Thread: the most popular tourist attractions in Pakistan? In pakistan every city is so beautifull. Lahore and Karachi is most beautifull.These two cities are modern cities and bigest cities of Pakistan. There are also mountain and hilly areas in Pakistan.NWFP is mountain area. Pakistan is the most beautifull country in the world. It contains every type of places.God(Allah)give us every type of natural resouces eg.Iron,salt,coal,etc.Kashmir and northern areas of Pakistan is like heaven or eden on Earth.Its so beautifull. Re: the most popular tourist attractions in Pakistan? Yes Lovely Pakistan is very beautiful country. It is a great mix of metropolitan cities, natural beauty and a very attractive culture that results in a lot of people visiting Pakistan every year. When it comes to travelling, everyone has different taste. Some people like to visit metropolitans which are culturally rich but offer all facilities to the tourists. Our bigger cities and cultural destinations like Lahore and Karachi attract both foreign tourists and local tourists from extreme southern part or from northern part. The people who have interest in archeology have places like Taxila or Harrapa and Moenjodaro to cater to their interest. Mountain trekkers have K-2 and Nanga Parbat as their key interest. Both of these peaks are above 8000m. Murree , Galliat Area, Kaghan Valley, Swat Valley, Peshawar, Azad Jammu Kashmir , Muzaffarabad, Jehlum, Neelum Vellay, Leepa Vellay & District Poonch are the most beautiful sights of Pakistan. Nice discussion Lovely and Aaliyah! I'm really impressed about your information. I'm tourist and live in USA. Last year I have been visited in Pakistan before my boston to washington dc bus tours. It is a nice country for visiting. The people are loving and helpless. The attractions of this country are amazing and beautiful. I want to share some famous tourist places in Pakistan. Alika! Last year when visited the Pakistan due to the short time I just went to Lahore and Karachi. These are awesome cities of Pakistan. After visiting there now I am curious to know about it more. Can you guide me more about it and other attractions of Pakistan and especially about Faisal Mosque? ADDIE! Faisal Mosque is the largest mosque of Pakistan. It is situated in Islamabad. This mosque is conceived as the national mosque. Most of tourists came to visit this mosque. There are many beautiful places in Pakistan. I am sharing some places name. Aaliyah !Your shared information is good about Faisal Mosque. I appreciated your knowledge about Pakistan’s attractions. Do you know the history of Faisal Mosque? When did it build? Are these valleys which you have mentioned there in Islamabad? ADDIE! Faisal Mosque is the 2nd largest mosque in the world. It’s completed in 1986. Its minarets height is 260 feet. It is famous for its minarets. Almost 3 million people can pray in it. Late king Abdul Aziz gave the suggestion to build a national mosque in Islamabad. A turkish artist creates its design. Almost 130 million riyals spent on it. And which areas I mentioned in my above post. They all are located in the north of Pakistan. Nice sharing Aaliyah. I like your post. I visited Faisal Mosque with my friends before boston to washington dc tours. It is really attractive and nice place to visit. It is located in Islamabad. The structure of this mosque is great. I think it is one of the gorgeous mosques in the world. Here I want to share some images, I hope you like it. Last edited by alicke; 08-21-2014 at 08:11 AM. Alicke! You shared nice images. I like your images. I have been there many times. This mosque is very beautiful. You can’t be sick to watch it many times. alicke and Aaliyah both of you shared nice information about Faisal Mosque. These images are awesome. I would like to appreciate your knowledge about these attractive places. I think your shared knowledge about these attractions will be a great source of motivation for tourists. Do you know about something about Ziarat.? ADDIE! 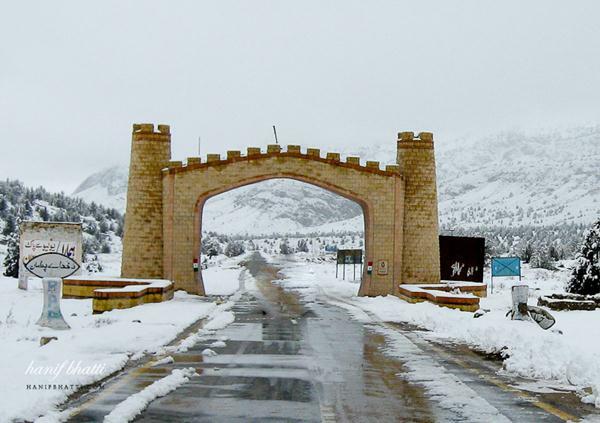 Ziarat is one of the famous places of Pakistan. It is 8850ft above from the sea and almost 125 kilometers from Quetta. It is surrounded by many hills. Khilafat hills are the highest peak in ziarat. It is a popular destination for tourists. Many tourists visit this place in summer. Quaid e Azam spent his last days in Ziarat. His residency is still in here. Dumiara waterfall is another famous place. It is 13 km away from Ziarat. There are many hotels, Tribes and Shrines for visitors. You can Visit historical places in moenjodaro and harrappa,there are also places like in northern areas Hunza valley,chilas,chitral,Muree in northern punjab,there are very Beautiful natural sceneries and Moghul architectural places,so you will enjoy in traveling Pakistan.there is a website for you hopefully you will check,it will help you alot. You are absolutely right Nada Noor ! No doubt Pakistan is one of those countries which is full of nature. I visited it with my business partners more than one time. Due to the short time I can't stay there for a long time and have knowledge about its some attractive places. Can you guide me about Hunza valley and Chitral. I think these attractions will be near to nature. Am I right? This was splendid idea to go with washington dc bus tours. Hunza Valley is a mountainous valley of Pakistan. The region of Hunza is about 7,900 square kilometres. This falls is situated north/west of the Hunza river. 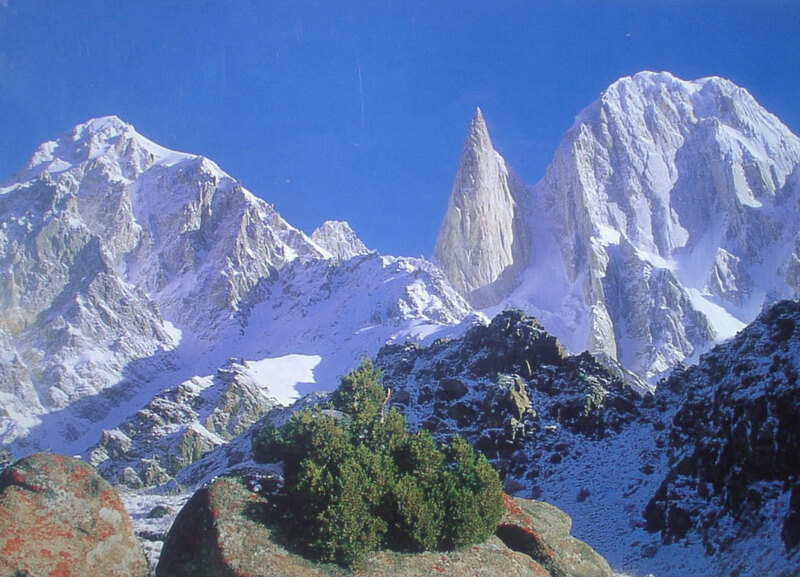 It is one of the most famous tourist attractions in Pakistan. I have visited there before couple of month with my business partner. If you get more information about this place so Click here. I hope it will be informative for you. Alika, I like your shared images. These are breathtaking views and amazing place. I love nature. I think Hunza Valley is very natural not a man made. Its greenery and high peaks attract me.I will prefer to visit this place whenever I get a chance to come again in Pakistan. Can you provide me more details of this valley ? Alika! Your image collection is really very nice. It provokes me to go this valley again. Last time I visit this place during my New York Vacations. It is a very fascinating place. ADDIE! 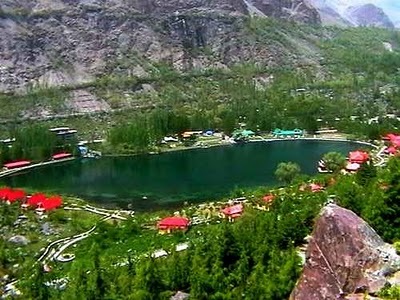 Hunza valley has many attractive destinations for tourists. Right now I am sharing some of its attraction's name. I hope you will be glad to visit these places. Aaliyah you have shared valuable information about all visitors. I had never chance to go these attractions during my Hunza valley tour that you shared with us. You know I’m really impressed it. It will be very helpful for me. I want to visit there as soon as possible. Would you like to tell me some information about Rock Carvings and Fruit Orchard? Alika! Rock carving is located in Haldeikish near the small town of Karimabad. It is a lonely rock and divided into two parts. The one part of the rock becomes a shelter for Buddhist. It is 30 feet high and 200 yards long. Hunza valley has many fruit orchards of apples, apricot, oranges etc. It is famous for its apricot orchards. I’m impressed about your sharing Aliyah! Good Job and Keep it up. You have enough information about Rock Carving and Fruit Orchards. It can easy for me to visit there. Next month I must go there and enjoy the natural beauty. I hope it will be memorable for me. There is so much to see in Pakistan, not only some specific places I think the whole Pakistan is beautiful. Some places whom are the most popular tourist attractions in Pakistan are Lahore fort, Badshahi Masjid, Minar e Pakistan, Faisal mosque, mohatta place etc. I think people already shared above what is so good in Pakistan. 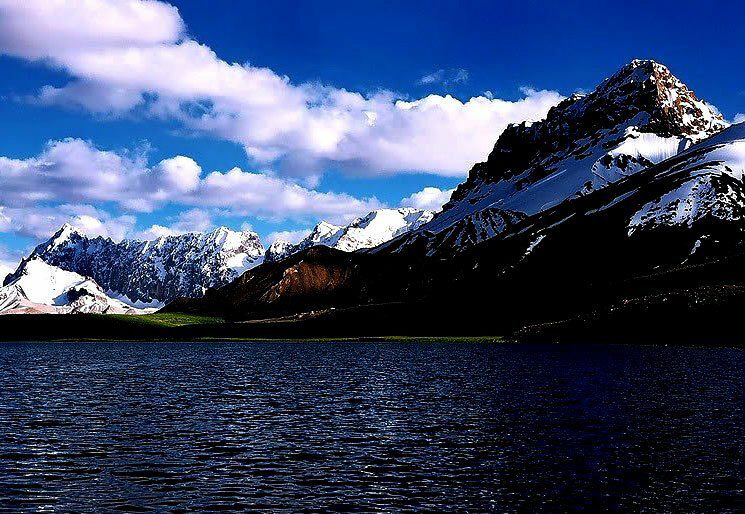 I personally love northern areas and their beauty... even Islamabad is in a list of most beautiful cities of the world. Nice pics though..
Why is Kenya so popular to tourist? Why Is Lindau A Popular Tourist Attraction?